T-Shirts / Uniforms : Top Worth Advertising LLC. Dubai, U.A.E. Promotional T-shirts, printed hats, printed polo shirts and printed work wear are a very effective and economically friendly way of getting branded apparel out there. We have a huge range of garments available printed or embroidered with your logo or message. The most popular garment for large events such as sales, exhibitions, university fresher's fairs are our printed t-shirts. 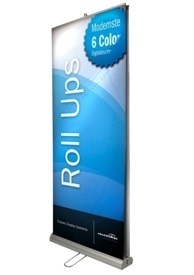 We can print literally thousands of these and have done so for some of the largest companies in the UAE. We have our own in-house printing facilities which allow us to give you the best prices on the web and in a quick turnaround time. Printed or embroidered clothing isn't just for promotional events. How about having your logo embroidered on our range of corporate clothing and workwear. Shirts, tabards, boiler suits are all available under our workwear section. When it comes to what to wear, some people have to dress a certain way because of their job. However, when the workdays are over, and when the weekend comes, people drop their business casual wear and go for something more comfortable and relaxing. t-shirts are very easy to wear, but there are more advantages of printed t-shirts other than just being a way to relax. Here are some advantages to using printed t-shirts that go beyond just something fun and fashionable to wear. T-shirt printing is not as expensive as people think. 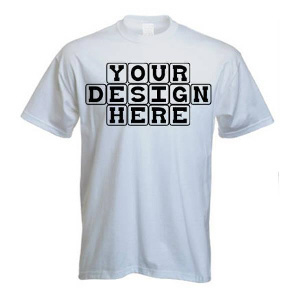 In fact, businesses often turn to printing t-shirts as a way to give gifts to their employees and clients. Promotional t-shirts can really make the people who wear them feel special, and can be a lot of fun for employees awards, on company events or promotions or just to turn up in on casual friday's. Another great advantage of promotional t-shirts is that they are very reasonably priced. the general rule with printed t-shirts is that the more the company buys, the lower the price will be. Ever heard of a sandwich board? Some places will spend a lot of money on ways to advertise their business like billboards, printed ads in magazine, or even commercials. By turning to t-shirt printing, a company can give away their t-shirts to their customers and employees, who will wear them outside of work. A particularly colourful t-shirt can really get attention and its free advertising for the company. Printed t-shirts are worn for comfort and style. However, there is more to promotional t-shirts than just being casual to wear. -shirt printing can offer a company a chance to hand out gifts to their employees. Promotional t-shirts can be bought in huge quantities, which are an inexpensive and clever way to advertise their goods and services, and yet be very fashionable at the same time!